First time I tried Windows Live Writer a few months ago when I was experimenting with BlogEngine.NET. I found the tool to be quite useful for writing blog posts offline so when I finally created my own blog I immediately downloaded the installer in order to start writing on my notebook. 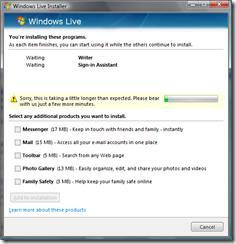 Everything seemed to be fine until the progress bar captioned "checking your computer for Windows Live programs" changed to "Sorry, this is taking a little longer than expected". 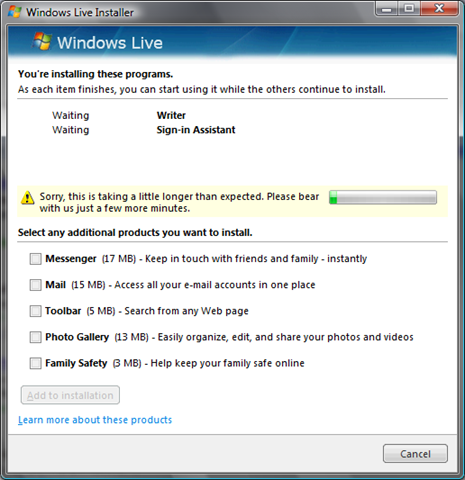 I was really patient but as I don't see a half an hour as little longer I killed the installer and began investigating. 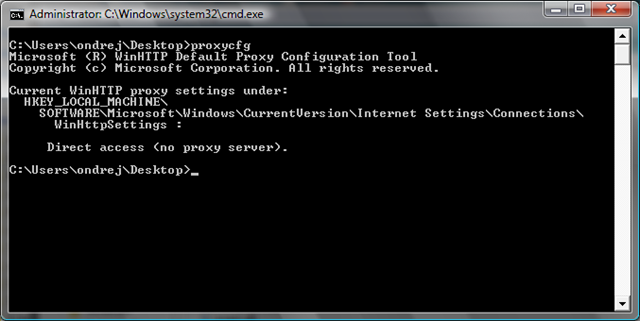 Note: If you are curious, I found the rules Windows Update service uses to decide which proxy server to use. 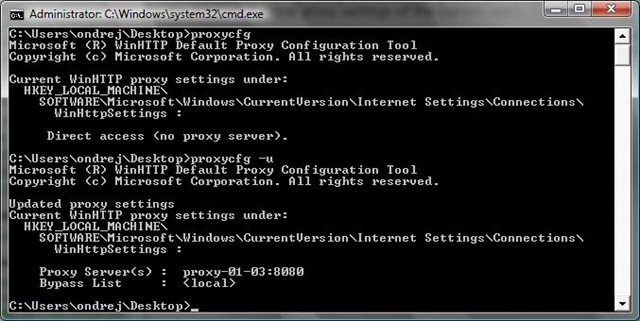 Note 2: I couldn't find proxycfg utility on my Vista notebook, so I copied it from a Windows Server 2003 machine (look for it in the windows\system32 directory). Note 3: In the past whenever Microsoft used an online installer, it used to offer also a completely offline installation package as well. 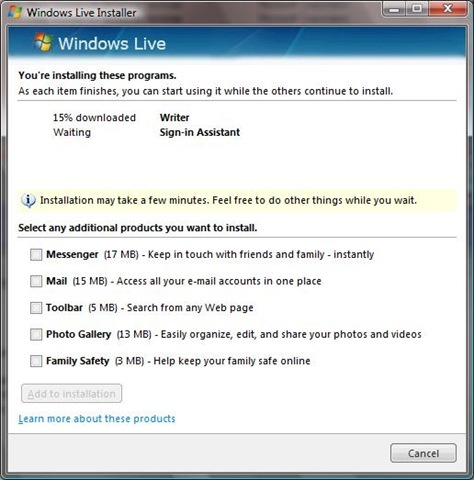 If it was true in this case, I could possibly save almost two hours of investigating and trying to install Windows Live Writer. You may find more information in this Windows Core Networking blog post. Nice blog. You&#39;re article was spot on. Will you be writing a follow up article up on this? I&#39;ve bookmarked your page.